Did you know that "male lions defend the pride's territory while females do most of the hunting"? Did you know that "the name humpback whale describes the motion it makes as it arches its back out of the water in preparation for a dive"? What about this one: "ostriches have the largest eyes of any land living animal and they measure 50 mm (2 inches) in diameter"? 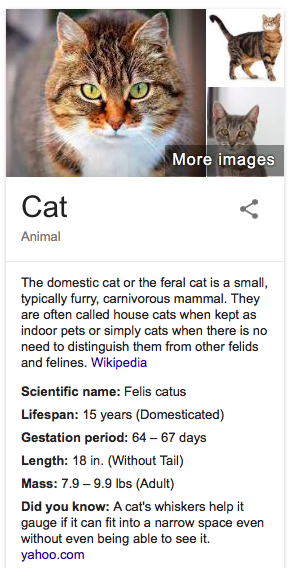 Google now shows random facts about animals in the "did you know" section of the Knowledge Graph card. They're extracted from various sites and Google actually links to the source. Some example of queries that return random facts: [cat], [lion], [tiger], [alpaca], [giraffe], [ostrich], [duck], [elk], [raccoon], [shark]. 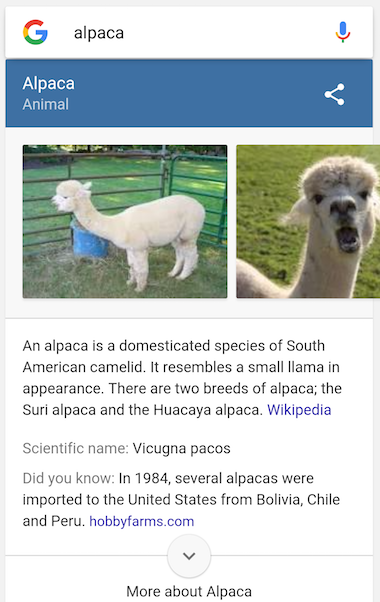 It's worth pointing out that you can get another random fact by reloading the page or searching again for the same animal. Google Knowledge Graph has more than one billion entities and more than 70 billion facts about these entities (people, places, things). It's huge and it brings a different dimension to search: understanding concepts and the relation between them. Mobile Google Search now has a section called "found in related search", which shows a few entities frequently mentioned in other related searches. 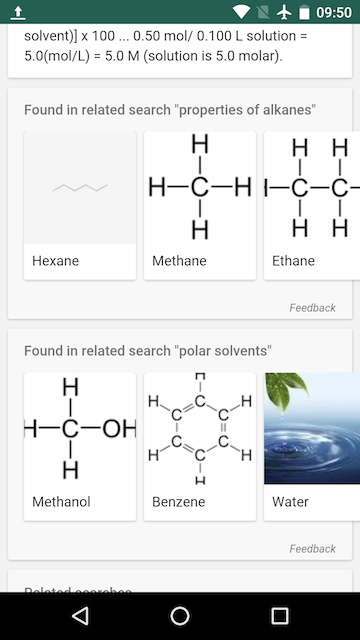 For example, I searched for [ethanol molar mass] and Google showed 2 lists of organic and inorganic compounds: one of them was found in the related search [properties of alkanes] and the other was for [polar solvents]. Ethanol is a polar solvent which can be obtained from alkenes, while alkenes can be derived from alkanes, so Google's suggestions are somewhat useful. This feature is not limited to chemistry, it also works for other topics. 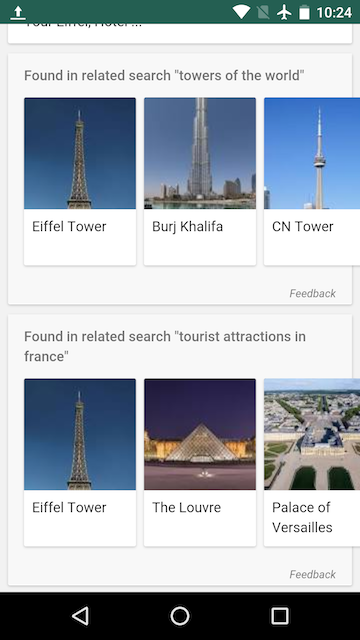 Here's a different query: [tour eiffel design], which shows other "towers of the world" and "tourist attractions in France". 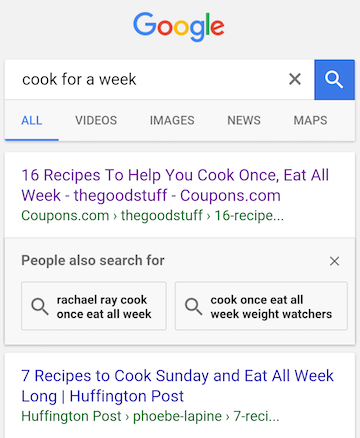 I noticed an interesting Google Search experiment in the mobile/tablet interface. 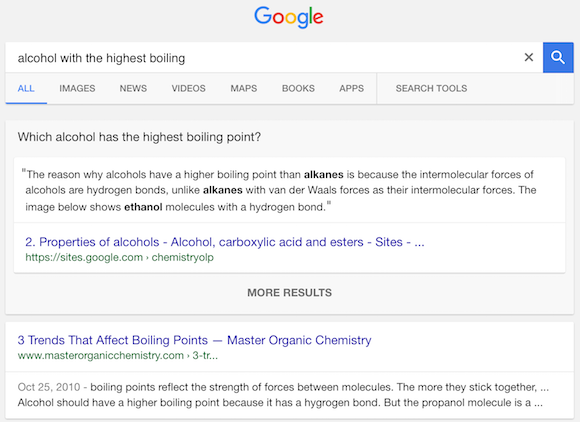 When searching for [alcohol with the highest boiling], Google converted my query into a question: "Which alcohol has the highest boiling point? ", then it tried to answer the question using a snippet from a web page and then it added a "more results" link. Google's link sent to me to the search results page for the question inferred by Google. 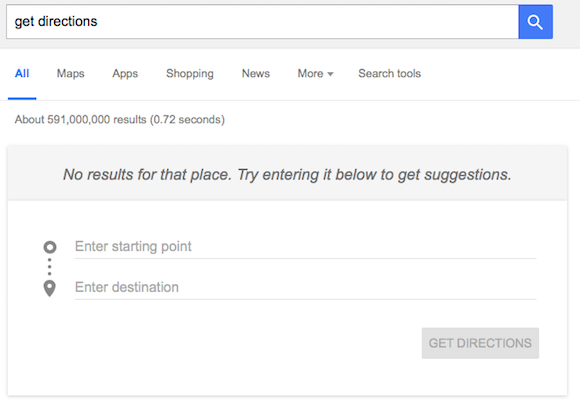 When you search Google for [directions] or [get directions], you get an error message: "No results for that place. Try entering it below to get suggestions." 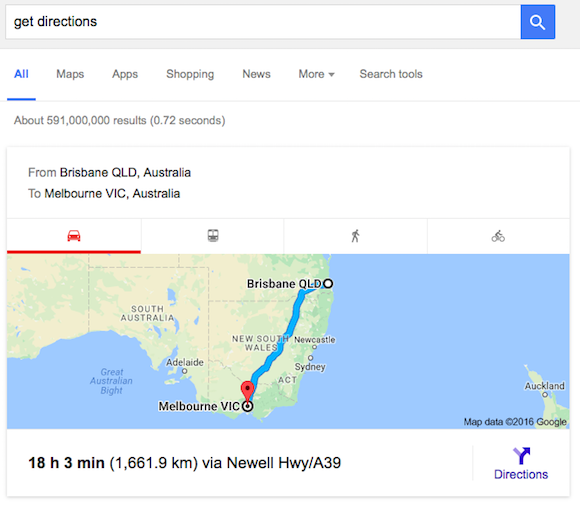 Google shows a special card for directions with cool features like autocomplete, but the error message is out of place because you haven't typed a location. Suggestions aren't very smart. 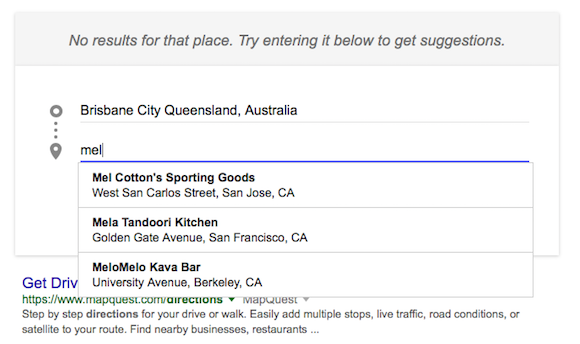 For example, I typed "Brisbane, Australia" as the starting point and then I started to type "Mel" as the destination. Google suggested 3 places from California, strictly based on my location, while ignoring that Melbourne is a much better suggestion. 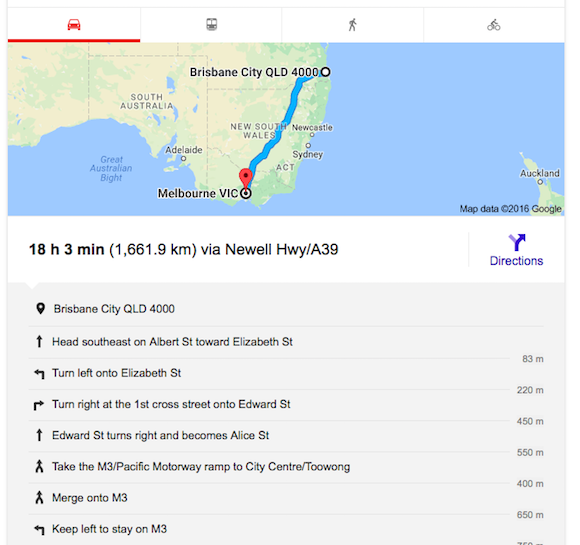 Google shows directions inside the card and you can pick between driving, walking, cycling or using public transportation. To see the directions, just click the text that describes your favorite route. If there is only one route, pick that one. 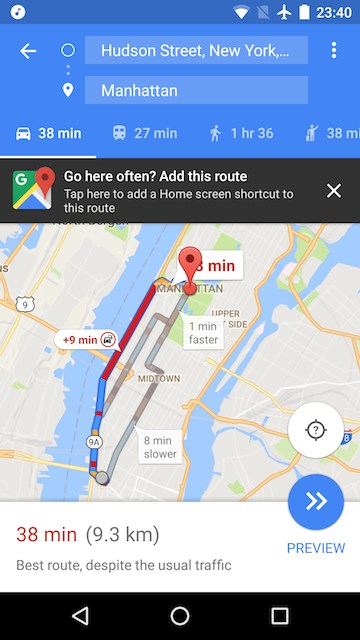 Another option is to click "directions" and go to the Google Maps site. I'm not sure if this is a new feature, but it must be pretty recent. 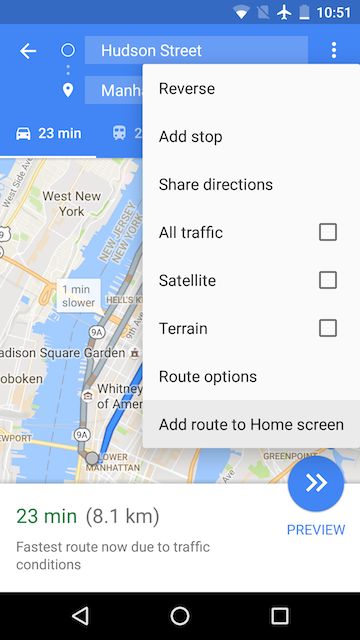 Google Maps for Android lets you add home screen shortcuts to directions directly from the app. 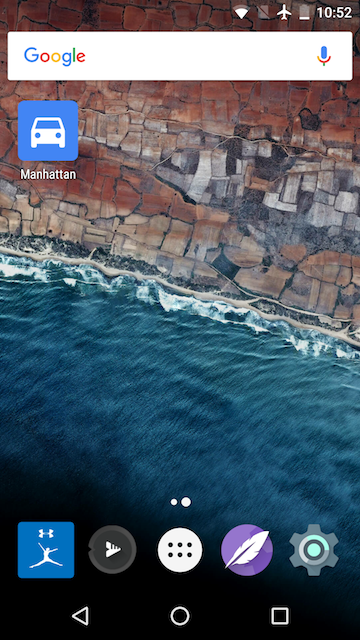 Just search for directions, tap the menu icon and pick "add route to Home screen". This works best when you select the current location, but it's not a requirement. You may also see this message: "Go here often? Add this route. Tap here to add a Home screen shortcut to this route." Another option is to add the directions widget, which lets you pick the shortcut name, whether to start turn-by-turn navigation and more. Google has a special card that's both a color picker and a color converter. 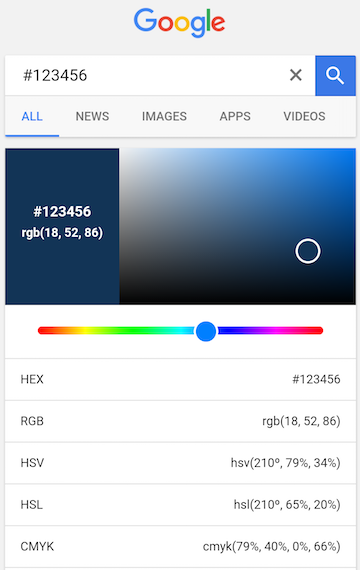 For example, you can search for HEX color codes like #123456 and Google shows the color and converts it to other formats: RGB, HSV, HSL, CMYK. Google's card also shows up when you search for RGB values like rgb(255,0,255). The most interesting feature of the card lets you pick a color interactively. Other queries that trigger Google's card: RGB to HEX, color picker. 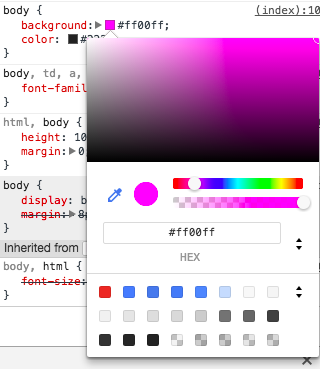 This is not a new feature, but it's worth pointing out that Chrome has its own color picker and converter in the developer tools. Click a color in the styles tab to open the color picker and shift-click a color to convert it to a different format. 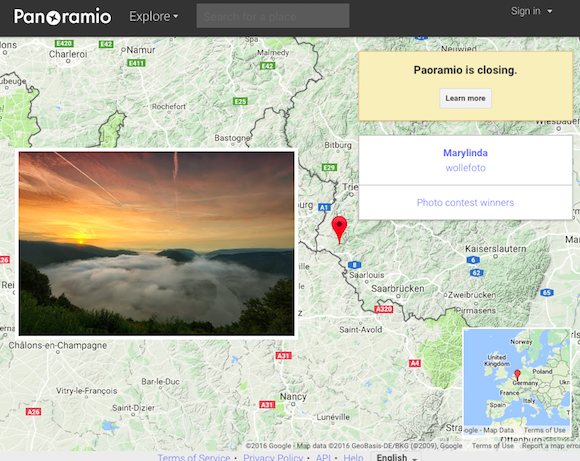 Google intended to discontinue Panoramio back in 2014, shortly after Google Maps Views was launched, but a lot of users complained and Panoramio continued to exist. Now Google announces that Panoramio will become read-only on November 4th and it'll be shut down one year later, in November 2017. "Today, with photo upload tools in Google Maps and our Local Guides program, we are providing easy ways for you to share your photos with an active and growing community. As such, we've decided to move forward with closing down Panoramio," informs Google. If you've linked your Panoramio account with a Google account, you'll be able to find your photos in Google Album Archive and they'll not use your storage quota. You can also export your photos in Google Takeout. Google encourages Panoramio users to join the Local Guides program for Google Maps and share photos, add reviews and information about places. "It's all about that warm feeling you get from helping others discover new, enriching experiences. That, and the benefits. Every place you improve on Google Maps gets you closer to unlocking something new - from early access to new products to exclusive contests and events." If you don't like Google's options, you can delete your Panoramio photos or go to Panoramio's settings page and delete your account. Google acquired Panoramio in 2007. It was a Spanish startup which had a site that enabled "digital photographers to geolocate, store and organize their photographs and to view those photographs in Google Earth and Google Maps." 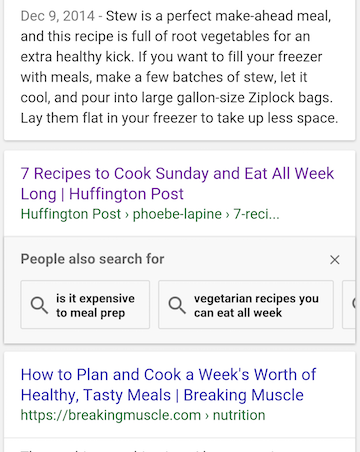 Google's mobile search interface shows a new box with related searches after clicking a result and going back to the search page. There's a list called "people also search for", which shows queries that are related to both the original search and the search result you've previously visited. Swipe left to see the entire the list. Google tested this feature back in June and now it's no longer an experiment. Pixel phones will ship with a new Android version: 7.1. It looks like many of the important Nougat features have been left out from the 7.0 release. Android 7.1's unofficial changelog published by Android Police has many Pixel-specific features, including a new launcher, a new camera app, Google Assistant, a support tab in the settings, solid navbar icons, Smart Storage that removes old backed up photos and videos when storage is full. There are also some features that aren't restricted to Pixel devices: night light (filters blue light), fingerprint swipe down gesture, seamless A/B system updates, Daydream VR mode, support for app shortcuts and circular app icons, keyboard image insertion, manual storage manager and more. Unfortunately, Nexus devices and Pixel C will only get a dev preview by the end of 2016, so the stable release will be available in 2017. So much for buying Nexus devices to be the first to get the latest Android updates. Google Assistant won't be a Pixel exclusive for long, since it's a core Google feature that needs wide adoption. I assume that the launcher and camera app will be also available in the Play Store at some point. Google announced its first phone and many people wondered why it's as expensive as an iPhone. Nexus phones were sometimes inexpensive (Nexus 4: $299, Nexus 5: $349, Nexus 5X: $379) and sometimes more expensive (Nexus One: $530, Nexus 6: $649, Nexus 6P: $599). Now the 5-inch Pixel costs $649 in the US, while the 5.5-inch Pixel XL costs $769, which is more than any other Nexus phone. Obviously, Google's pricing was more aggressive when it wanted to sell more products and less aggressive when sales numbers mattered less. The truth is that Google only managed to sell products in high volumes if the price was low enough to make them good value. Chromecast was successful because it offered a lot of value for the money. Nexus 5 was a flagship phone at half the price, so millions of people bought it. Nexus 7 was good enough for $199, but Google's bigger tablets were more expensive and their flaws were more striking. Google is a "value" brand. Most people associate Google with free ad-supported online services that offer great features. There's no paid Google software for consumers, as Google only sells digital content and subscription services (storage, music). Google is not a lifestyle or luxury brand, so people don't expect to pay much for Google products. There's a lot of risk associated with Google products, since Google doesn't stand behind them all the time. Some of them are experiments, others are quickly discontinued and forgotten. I still remember that Google stopped selling Nexus One only 6 months after the launch or when Logitech's CEO said back in 2011 that Google TV was a huge and costly mistake. Android One was a flop, Google Play Edition failed, Motorola was acquired by Google and later sold to Lenovo. Google's commitment issues, its high appetite for releasing beta products, its lack of planning and foresight - all of these problems alienate consumers and make them think twice before buying a Google product. Premium brands are all about image, trust, credibility, heritage. After the launch of Google's Pixel phones, many people wondered if the Nexus brand will be retired or we'll still see Nexus phones, tablets and other Android devices. It looks like the first answer is accurate. According to The Verge, Google says that there are no plans for future Nexus products. "The idea was to show everyone how it should be done," says Brian Rakowski, VP of product management for Android. "All the partners in the phone manufacturing space took it and built great products on top of it. Meanwhile, Nexus kind of trundled along at the same small scale." 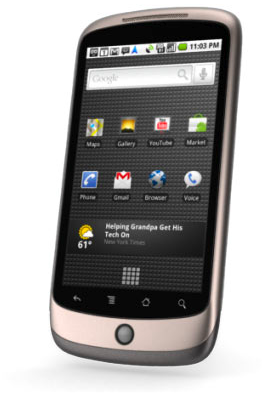 Nexus was the reference Android phone and was mostly for developers and early adopters. Google sent mixed messages: some of the phones were heavily subsidized, others were more expensive, design and features were rarely consistent from one generation to another. With Android's beta program and Google's efforts to give manufacturers early access to the Android code, Nexus devices became less important. There are also inexpensive "flagship killers" like the OnePlus 3, which only costs $399. Google got serious about hardware and started to build an ecosystem of devices that work together: phones, tablets, laptops, routers, VR headsets, smart speakers, smart gadgets for your TV. Some of them are great, others will get better or be replaced by products that better fit inside the ecosystem. Google finally realized that "people who are really serious about software should make their own hardware," as Alan Kay said and Steve Jobs quoted. Challenging Apple when it comes to selling premium hardware is quite difficult. Apple consistently delivers great products, while Google's products are hit and miss (examples of bad apples: Nexus Q, Pixel C, Glass, Nexus 9). Apple has a long-term vision for products, while Google's plans are always changing with many casualties along the way. "It's very challenging to work on dozens of products and make them all terrific. We have to have a lot of discipline and a lot of focus," says Rick Osterloh, Google's head of hardware and Motorola's former president. For now, Google admits that Pixel phones "aren't going to have enormous volumes", as this is only the first iteration of the product. The good news is that "touch latency [on the Pixel] is the best of any Android device ever produced. If you put it under high-speed camera, it's on par with an iPhone." Google has big plans when it comes to hardware and hopes to eventually sell a lot of them. Even if that means competing against its own partners. "We’re no longer going to be shy about what we think is the right answer for us. What we are going to do is give the OEM ecosystem a chance to compete, meaning it’s a fair playing field," says Rishi Chandra, VP of product management for home products. Google has a new hardware division and Rick Osterloh, the former Motorola chief, is in charge. This hardware division merges Google's disparate hardware projects to bring more cohesive products that work well together. Google announced a lot of products today and all of them are made by Google. Nexus phones have been replaced by Pixel phones, Daydream View is a comfortable VR headset that works with Pixel phones, Google Home brings Google Assistant to a smart speaker, Google WiFi is a new router that promises better range and Chromecast Ultra supports 4K and has an Ethernet port. That's quite a lot. Pixel phones are actually made by HTC, but there's no HTC branding. Pixel and Pixel XL are designed by Google and HTC is only the OEM. The two phones share the same premium hardware (aluminum/glass unibody, Snapdragon 821, 4GB RAM, 32/128GB of storage, AMOLED screens, 12MP camera with gyroscope-based electronic image stabilization), but have different screen sizes (5 inch vs 5.5 inch), resolutions (1920 x 1080 vs 2560 x 1440) and batteries (2770 mAh vs 3450 mAh). They have an impressive camera that scores 89 in the DxOMark Mobile test, which is the highest score for a mobile phone. The camera has a fast f/2.0 lens, hybrid autofocus powered by laser detection and phase detection, zero lag HDR+, powerful stabilization. 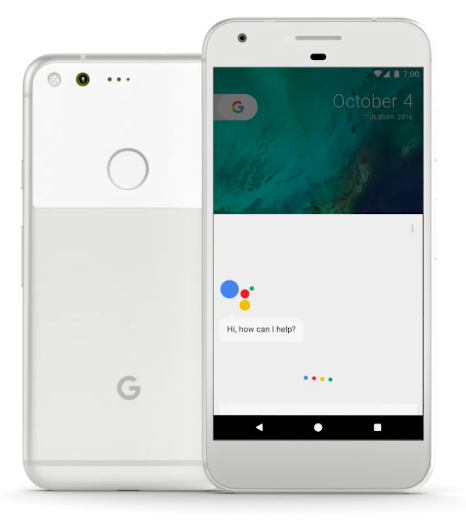 Pixel and Pixel XL ship with Android Nougat and they're the first phones that come with Google Assistant, the upgraded voice assistant with a more natural voice, more comprehensive answers and better integration with other services. 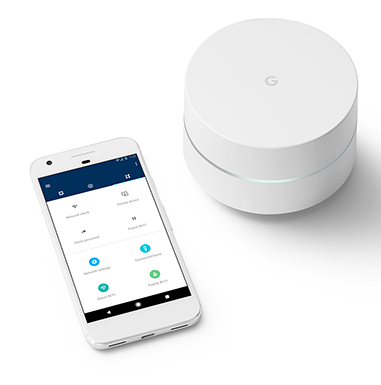 "Pixel is available for pre-order today starting at $649 in the U.S., U.K., Canada, Germany and Australia," mentions Google. Pixel XL costs $120 more, while the 128GB options adds $100 to the price, exactly like the iPhone. Google partnered with a few carriers: Verizon, Roger/Telus/Bell in Canada, EE in the UK, Deutsche Telekom in Germany, Telstra in Australia, as well as a few stores like Best Buy and Flipkart. Daydream View brings virtual reality to everyone (who has a Daydream compatible phone). 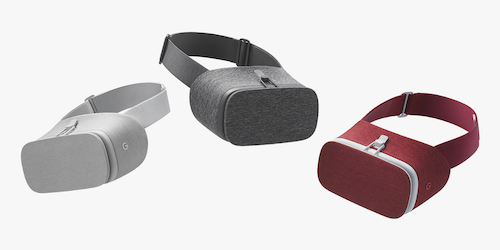 "Powered by Android 7.0 Nougat, Daydream-ready phones are built with high-resolution displays, powerful mobile processors and high-fidelity sensors—all tuned to support great VR experiences. Google’s newest Pixel and Pixel XL are the first Daydream-ready phones, and there are a lot more on the way from leading Android smartphone makers," informs Google. Daydream View is a VR headset and controller that costs $79 and it's comfortable and easy to use. For now, it's mainly a Google Pixel accessory and it will be available in November in the US, Canada, Germany, UK and Australia from the Google Store and all the other carriers and stores that sell Google's phones. Google Home is a smart wireless speaker with integrated Google Assistant, powerful microphones and noise cancelling technology. 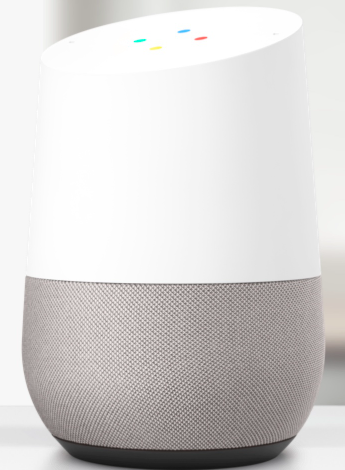 It's always listening to "OK Google" (you can quickly disable this feature from the mute button), it has touch controls, far-field voice recognition, Hi-Fi speakers, multi-room support if you buy multiple devices. It also has customizable bases you can buy from the Google Store. Google Home is a clever voice interface for Google, but also for your other smart devices like Chromecast, Nest, Philips Hue and more. IFTTT will make Google Home automation even more powerful. "Google Home will be available in stores starting in November or you can pre-order yours today for $129 from the Google Store, Best Buy, Target and Walmart," informs Google. After launching OnHub routers manufactured by TP-Link and Asus, Google came up with its own simplified WiFi router. It's designed to cover a small house or an apartment and you can use multiple Google routers for a larger house. "Network Assist is intelligent software built into Google Wifi to provide you with the fastest possible speed. Behind the scenes, Network Assist automatically helps you avoid Wi-Fi congestion, and transitions you to the closest Wi-Fi point for the best signal." Google's new router has a mobile app that lets you quickly change settings and check stats. For example, you can pause Wi-Fi on a device or prioritize a device. "Google Wifi will be available for pre-order in the U.S. in November. It will retail for $129 for a single pack, and $299 for a three-pack at the Google Store, Amazon, Best Buy and Walmart." Chromecast Ultra brings 4K and HDR support, a more powerful hardware and a different charger with Ethernet port. "Chromecast Ultra supports 4K, HDR and Dolby Vision, so you'll get a crisper picture with higher resolution and more vibrant colors. At first, you'll be able to stream 4K content from Netflix, YouTube and Vudu, and we're working to bring more 4K and HDR content on board. Later this year, Google Play Movies & TV will be rolling out 4K content. Chromecast Ultra loads videos 1.8 times faster than other Chromecast devices and includes major Wi-Fi improvements to support streams from full HD to Ultra HD without a hitch," explains Google. "Chromecast Ultra will be available in November for $69 from Best Buy, the Google Store, Target, and Walmart in the U.S., as well as from international retailers in 15 more countries."